January 20th in Plugin Lists, Wordpress Plugins by Wordpress Jedi . Widget Clone: this plugin lets you duplicate your favorite widgets with all their settings intact. 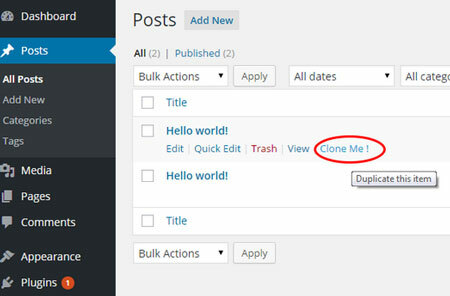 Duplicate Post: lets you clone pages or create new drafts with a click. You can choose what to copy. 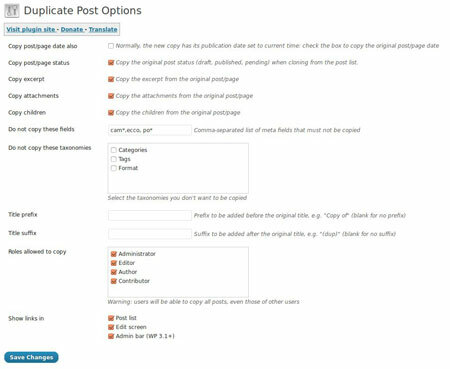 Duplicate Page and Post: lets you duplicate your pages and posts quickly. It retains styling, content, and title of each duplicated page. Duplicator: lets you duplicate, clone, and move your entire site from one location to another. 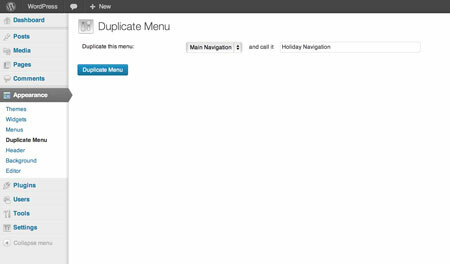 Duplicate Menu: this handy plugin copies your menus and retain their structure. 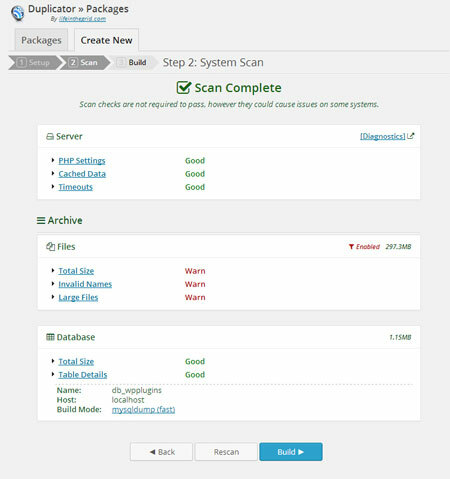 Have you found other plugins to duplicate WordPress features? Please share them here.